Mount Takao is a popular hike, both for its ease of access and leisurely difficulty. That means it's often crowded on the trails and at its peak. If you've already conquered Takao or want something equally manageable but less crowded, check out these seven spots near Tokyo! This hike starts at Jinmu-ji Station in Kanagawa Prefecture, and can be completed in half a day or less. The nearby Jinmu-ji Temple is said to date back to the 8th century, and is known as a place Emperor Hirohito often visited in his younger days. After enjoying the sites inside the temple complex, the path to Mount Takatori begins with a flight of steps behind the temple. The hike along the ridge offers some great views of the nearby sea. Although it's not too physically demanding, there is one short section with chains to assist climbers, and several places where there are drop-offs if one is not careful to stay on the trail. There is an old quarry where people practice rock climbing near the summit. The summit itself is only 139 meters (about 456 feet), and is an open area that overlooks Yokohama, which is visible on clear days. 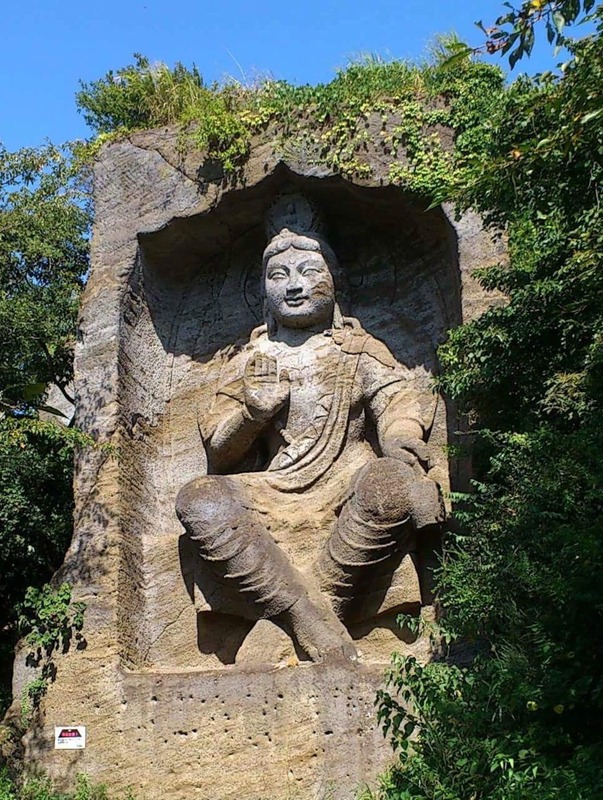 On the way down, be sure to take a side trail to see the large, 10-meter tall (about 33 feet) Buddha carved into a stone wall before hiking out towards Keihin-Taura Station. This hike can be done in a half day and starts from Kita-Kamakura Station, also in Kanagawa. It's about 7 kilometers (about 4 miles), and pretty light. The trailhead is located in Kencho-ji Temple, which is the oldest Zen temple in Kamakura. In order to access the trailhead you have to pay the ¥500 admission fee, which is more than worth it since the temple complex itself has a very rich history. The hike begins with a stairway up to the nearby Hansobo Shrine. Follow signs to Tenen or Zuisen-ji Temple for the first half of the hike until reaching Mount Ohirayama, which is the highest point of the hike at 159 meters (about 522 feet). From there, follow signs for Zuisen-ji. Signs along the trail are almost entirely in Japanese, so it helps to know the kanji (Chinese characters) for Tenen (天園) and Zuisen-ji (瑞泉寺). Most of the hike is in the woods, but there are occasional views of Kamakura and the sea—on clear days you can even see Mount Fuji. Be aware that there are numerous side trails off the main path, which should be avoided if you want to finish at Zuisen-ji Temple (although the detours are exciting as well!). From there it is a short walk to the Kamakura-gu Shrine, and Kamakura Station. Part of the Fuji-Izu-Hakone National Park, Jukkoku Pass is a bit farther from Tokyo, in Shizuoka Prefecture. It takes about two hours to reach Atami Station by local train, and from there it's another 30 minutes by bus to the Jukkoku Pass entrance. It's still a great hike to do as a day trip, you just have to get an early start! From there, you take the cable car (which is ¥360 one-way) to the top—it runs a length of 316 meters (about 1,037 feet) and ascends 101 meters (about 331 feet). The 360-degree view from the top showcases the beauty of the Suruga Bay and Mount Fuji. The actual hike is primarily downhill, since it starts from the top. The trail to Yugawara passes by Higanesan Toko-ji Temple, which has many interesting statues. While the trail is largely wooded, it does have places along the way where both Atami and the sea are visible. Located in Chichibu in Saitama Prefecture, the hike to Hodosan Shrine makes a perfect day trip. The trailhead is near Nogami Station on the Chichibu Line and ends at Hodosan Shrine, a Michelin-starred shrine that is considered one of the holiest in Chichibu. This hike is actually a bit gentler than Mount Takao, and the elevation at the top is 497 meters (nearly 1,631 feet). If you're more interested in sightseeing than hiking, Hodosan also has a cable car that one can take—passengers disembark near the top, and the boarding area for the return trip is near Hodosan Shrine. The view from the top overlooks Chichibu, and on a clear day you can see Mount Buko across the valley, which is famous for azaleas in spring. If you have extra time and energy after hiking, you can visit the famous rock formations on the Arakawa River, which is just behind Nagatoro Station. Mount Jinba isn't very far from Takao, and is actually part of the Meiji no Mori Takao Quasi-National Park. It's also not far from the city, and is technically within Tokyo, although it doesn't really seem like it! To get to the trailhead, you take the same Keio Line train you would as if heading for Mount Takao, and get off at Takao Station. From there, take the bus that heads up to Jinbakogen-shita. The trailhead is a short walk from the bus stop. You can also continue on the road up to Wada Pass and take a steeper, shorter route to the summit from the trailhead located there. The peak of Mount Jinba has an elevation of 857 meters (about 2,812 feet), and has a large, very distinct horse statue. On clear days the summit offers a 360-degree view that includes Mount Fuji, the Southern Alps, Tokyo Skytree, Yokohama and also Mount Nantai in Nikko! There are shops at the summit that sell noodles and souvenirs. There are several ways to descend from the top. You can hike back the way you came, of course. Another option to take Myoo Pass—head down the trail that starts with a flight of steps. Eventually the trail leads to Sagamiko, where you can catch a train from Sagamiko Station. If you get an early start and have a lot of energy, you can hike all the way to Mount Takao, but it can take seven hours or so, and isn't recommended for the faint of heart! Located in Shizuoka Prefecture, this mountain has very little information available in English, and is also less well-known to Japanese people than other entries on the list. So while information can be difficult to find, the good news is that a hike to Mount Kurotake is likely to be much less crowded than other places. The trailhead is accessible via bus from Atami Station to the Kurotake Hiking Course Iriguchi bus stop. The trailhead is a short but steep walk from there. It's a relatively easy hike through forest and fields of sasa (sometimes referred to as "broadleaf bamboo") to the top. Like other entries on the list, Mount Fuji is visible from the top on clear days. The descent—which heads toward Oratche Dairy Farm—is much steeper than the climb up, and there are sections with ropes to help descend safely. Some places are a bit slippery due to loose stones, but it's mostly packed earth. Otherwise, it's a fairly simple hike. From the dairy farm, which has a gift shop and a cafe, a taxi is required to reach Kannami Station. This is an easy hike—in fact, part of it is literally a walk in the park! The hike starts a little ways from from Hadano Station, in Kanagawa Prefecture on the Odakyu Line. The trailhead is right across from a Toys"R"Us, so it should be hard to miss. The first bit of the hike is the hardest and steepest, with several switchbacks leading to the first of four minor peaks along the hike. That said, this hike is not at all technically difficult, and even this section isn't particularly demanding. The entire hike can be done in half a day. From the first peak, Asama, you hike to Gongen (which has an elevation of 245 meters, or about 804 feet), where there is a pavilion that overlooks Mount Oyama and Mount Fuji, as well as several other peaks in the Tanzawa range. The walk from Mount Gongen to Mount Kobo is the aforementioned walk in the park. After passing through temple grounds on Mount Kobo, the trail leads through the woods before it exits near Tsurumaki-Onsen Station. This area can be reached from Tokyo by train in under 90 minutes. It's very popular, especially during cherry blossom season.